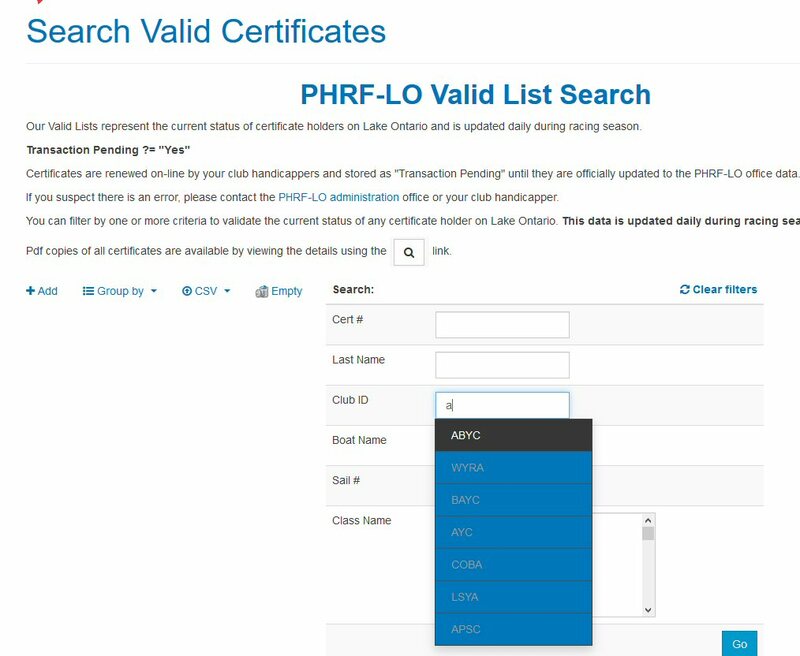 Do you need an up-to-date list of certificate holders to use with Sailwave? 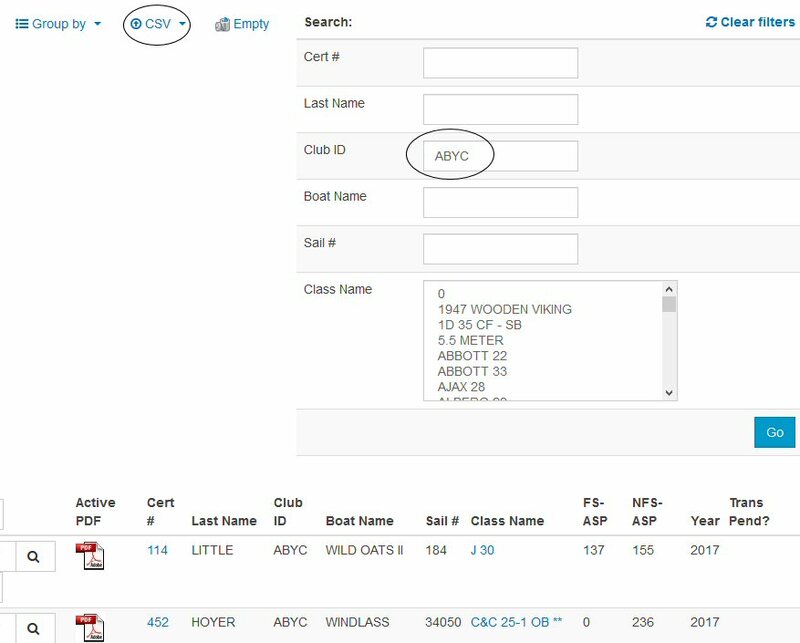 You can now use the Certificate Query function of our web site to create a csv file (Only available to "Registered Handicappers") that is readily importable into Sailwave. 6. Choose "File", "Import Competitors from csv file"
8. 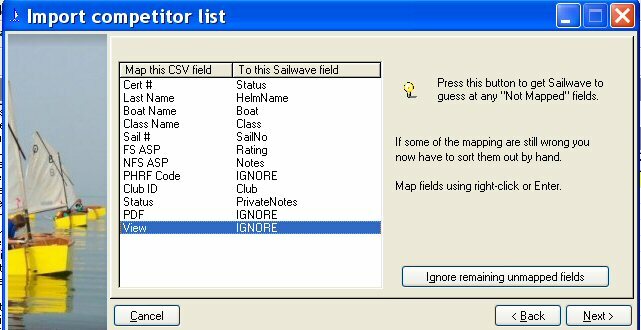 Click "Next" and you will be asked to "map" your fields to Sailwave fields. 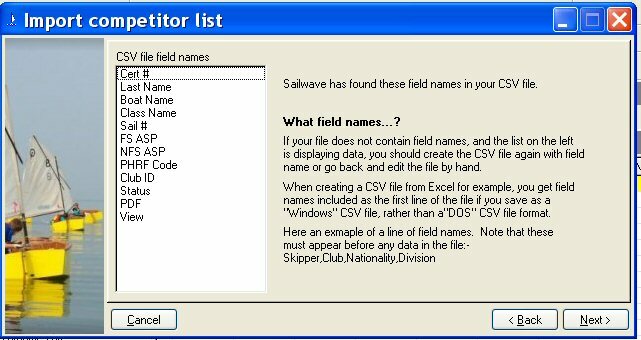 You can right click on the field and you will be given a list of Sailwave fields to map to. 10. Click "Next" and your all done.